Our team of stylists are constantly honing our skills and sharing our knowledge with each other. 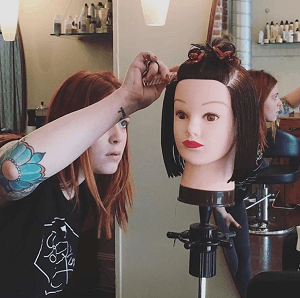 We also hold apprenticeship training classes at the salon. We are always in need of hair models who are looking for an inexpensive alternative to a great style! Every apprentice is supervised by a master stylist. If you are interested, please email us with your name and phone number using the contact form below. *You must be 18 years or older and a first time client of Parlor Hair Studio.